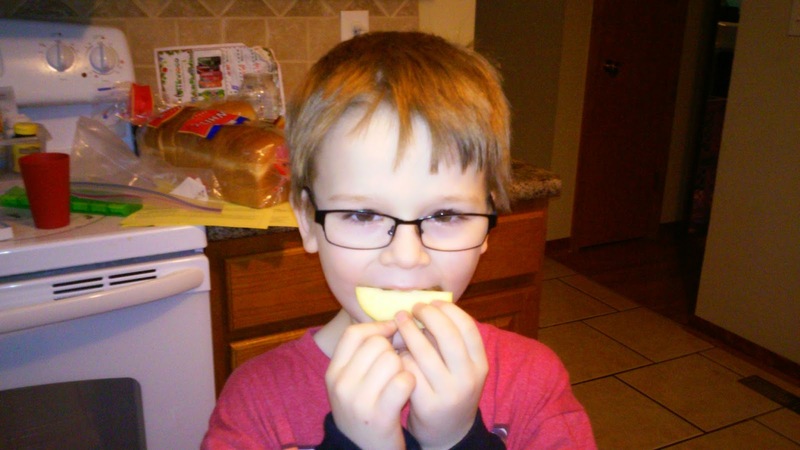 The kids and I just got to try these delicious apples from BuzzAgent. We got them for free kind of. We were given a $5 off coupon to go to our local grocery store to buy some to try. We also got 3 $1 off coupons to give to our friends or family. 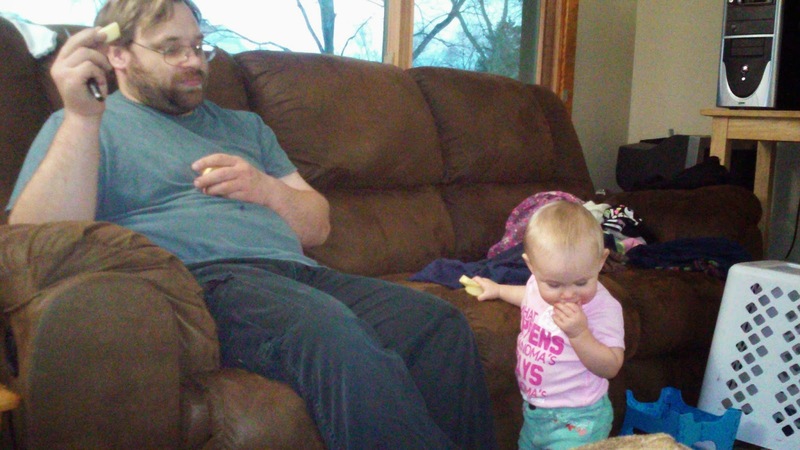 We gave one to Nana, one to aunt S, and one to our daycare lady. 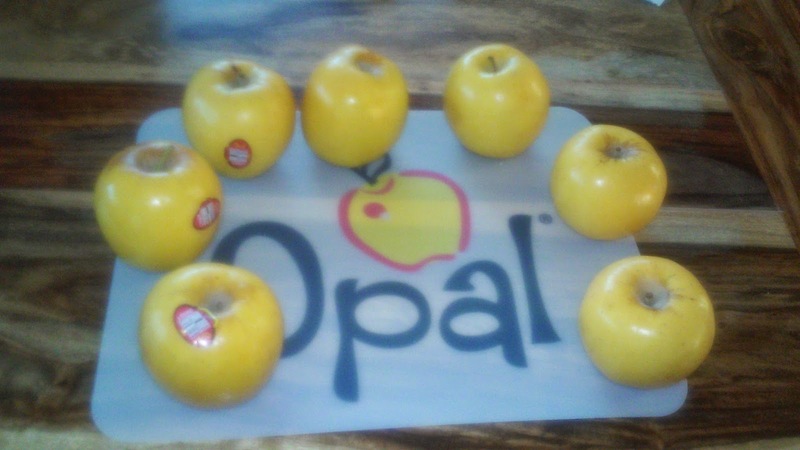 Oh and as a bonus we got a cutting board with the Opal Apple logo on it. These apples go for $1.99 at my local Cub Foods. 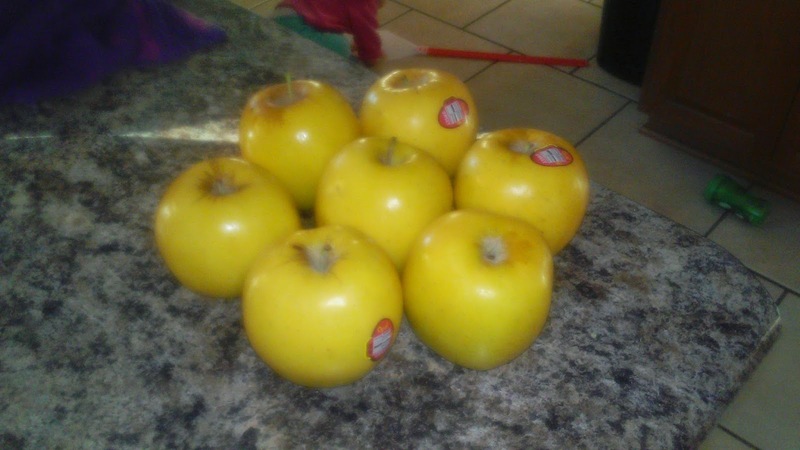 So I bought just over 2.5 pounds and got 7 apples. Not a bad deal if you ask me. I don't like apples myself. I know you think I am weird now but thats ok lol so D and G tried them first. 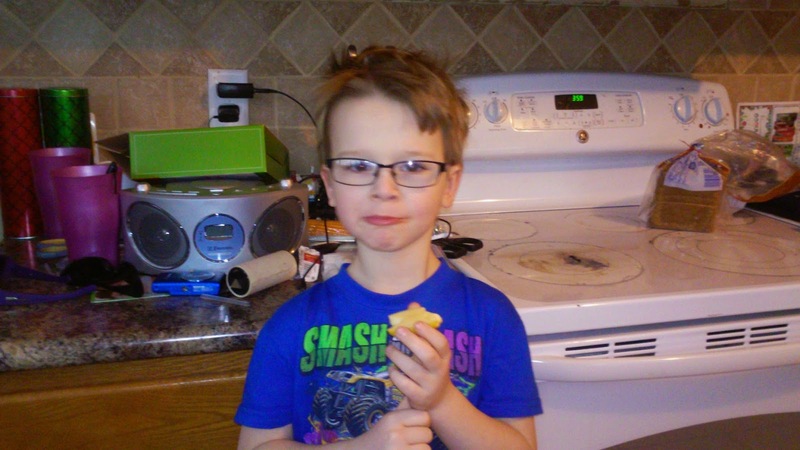 D says that they taste like a cross between an apple and a pear. Z did some other tests like if she put a slice down for a while would it turn brown. When we found it the next day it didn't. We didn't taste it because thats just gross lol. G just couldn't get enough of these. He said that they are juicy but not too juicy that it drips down your chin. When you are 8 this matters apparently. 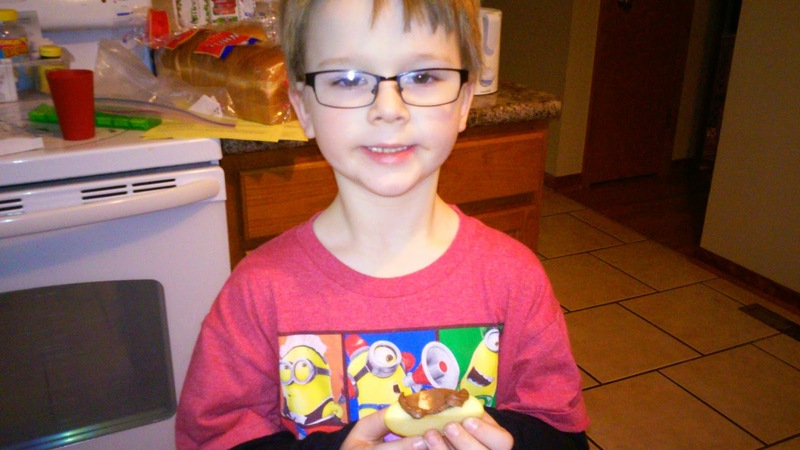 G also had to try these with the Reeses Spreads that we reviewed last week. I have pics of everyone but K trying these I guess. I would get one but unfortunately we don't have anymore and I just bought some yesterday. Anyway K said that they are good. He liked that when he had them in his lunch they didn't turn brown before he got to eat them. So the consensus here is that they are delicious and totally worth buying again and again because we have.